Big Bazaar has announced a promotional offer called "GST Muhurat Offer" for two hours starting from midnight to 2 am on July 1. Big Bazaar has announced a promotional offer called "GST Muhurat Offer" for two hours starting from midnight to 2 am on July 1, on the occasion of the rollout of the much-awaited new tax regime. As part of this shopping bonanza, customers will receive Rs 300 in their FuturePay wallets - a payment option that lets customers make purchases online - each time they spend Rs 1,000 or more. The GST Muhurat shopping will take place across all Big Bazaar stores, according to the official Twitter account of the company. 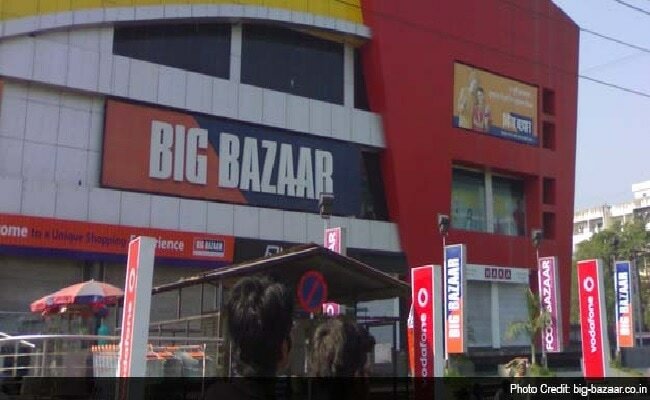 Announcing the offer, Future Group founder Kishore Biyani said Big Bazaar will offer up to 22 per cent off on products which will cost less after the implementation of GST. Future Retail, the flagship company of the Future Group, operates hypermarket chain Big Bazaar across the country. "This is a once in a lifetime event for us and we should celebrate that" Mr Biyani said. Also, to make commute to its stores easier for shoppers during this sale, Big Bazaar has partnered with cab aggregator Ola to offer a Rs 50 off on cab rides between 11 pm and 3 am. Speaking about the effects of GST, Mr Biyani said: "I believe that GST will be beneficial to the consumer, It will drive consumption in the country. It will build manufacturing, it will build services and it will make our nation prosperous." Meanwhile, in the run-up to GST rollout, many other retailers had announced clearance sales, discounts and cashbacks on a variety of items including electronics, home appliances, clothes and footwear. Items such as LED televisions, air conditioners and washing machines have been placed in the 28 per cent tax slab under GST, from 23 per cent.